Used games have plagued publishers and developers for many years but with a move towards digital content and talk of patents to stop used games sales from both Sony and Microsoft could the age of second hand games be coming to a close? It is very doubtful that only one developer will pursue this type of tech, otherwise they risk a large portion of their fan base switching sides. Nevertheless digital sales are on the increase and with no way to sell your digital content license after you have finished with it you no longer have the option to make money from old games (and nor do retailers). You can’t blame console manufacturers for wanting to cut back or even stop the sale of used games; after all they normally sell consoles at a loss. Even the PS3 sold at a loss when it was first released and that was priced at £425. The reason behind this is to get a good install base built up and then generate revenue from software sales. If gamers decide to buy only used games this means the console manufacturer will have no way to recoup their costs; IGN’s Colin Moriarity talks more about this issue during an episode of game scoop! Which I suggest you check out . Used games have been a staple of many games retailers for years; it is no secret that shops can make a greater profit from buying and selling used games than they can from new releases. After all when a new game is released is has to cover manufacturing costs as well as pay the publisher and developer; all of these factors eat away at a retailers profits. When buying and selling a second hand game the retailer is free to pocket all the profits (minus overheads of course) as the developer and publisher has no way to take a cut (although there are now online activate codes, which I talk about later). Selling second hand games isn’t illegal so a shop or gamer is well within their rights to make a profit from doing this. This article raises several arguments for and against used games and from the offset I’d like to make it clear that I don’t present a right or wrong answer, I am merely presenting both sides of the story. Why should the games industry be any different? Many of those in favour of used games can argue that the games industry operates no different from other industries with regards to second hand sales. Vauxhall for example won’t get a cut of my money if I sell my Corsa next year, nor should they. Why should the games industry be the exception to this rule? If you purchased the game as a boxed product then decide you no longer want it why shouldn’t you be able to sell it? Now on the other hand it could be argued that Vauxhall have a very good chance of continuing to make a profit long after my car has sold, not only do they offer services and MOTs on used cars but Vauxhall parts will need to be bought to maintain the car (of course 3rd party parts can be purchased instead). Another way in which car manufacturers capitalise on used sales is by having their own used car show rooms and finance options. This would be akin to a developer or publisher such as EA setting up a dedicated store, specialising in the sale of used EA games. You could then argue that if used games pose such a large problem then developers should open up shops to sell their own used games at competitive prices. The original owner may have also bought a DLC pack which cannot be transferred to the new owner. If the new owner then decides to also buy DLC the developer makes a further sale even though only one game has been sold. Strategically timed DLC can even prevent or at least prolong a player selling on their copy of the game. The Call of Duty franchise for example, offers DLC over several months, therefore if you want to experience the new content you have to keep hold of the game. Along with DLC this generation has also seen a big push for online multiplayer content and this brings us to another debate. DLC and online multiplayer both require an internet connection and are both offered to a customer via a server. When DLC is obtained by a customer the developer is directly benefiting from the customer accessing the server (which will cost money to run and maintain) whereas multiplayer is generally a free service. Developers have recently started to capitalise on this by only allowing access to multiplayer content if an online pass is activated. The pass will come free with all new games but can only be activated on one account. If the game is bought used the new owner must buy another online code in order to access the multiplayer content. In this situation you cannot blame the developer; after all you are not only playing a game in which they have received no money from you directly but you are now also using their server bandwidth and interacting with their online community. It could however be argued that the previous owner will no longer be accessing the multiplayer content and so their impact on the server and bandwidth has simply been passed on to the new owner. Developers can also lose out when they offer patches and various updates for a game. Patches cost the developer money to create, submit and store on a server for gamers to download. Services like this are totally free so a player with a second hand copy of the game will effectively be costing the developer money when they update their used game. Although buying used games isn’t illegal this debate reflects a similar situation the music industry found itself in with the rise of Napster back in the early 2000s. Big well established bands such as Metallica complained that they were losing money from all the sales they were missing out on . On the other end of the scale many artists (generally less well known bands) didn’t actually mind their music being stolen because word spread and their fan base grew. Arguably the same could be applied to second hand games, with one large difference (and note I am not saying that buying used games is as bad as outright stealing music). Musicians make the majority of their income from touring and not from sales of music; developers on the other hand make most of their income from the sale of games. Building a fan base through the sale of used games can have long term positive effects on game sales; many franchises I got into as a kid have stuck with me to this day. When I was younger I remember waiting all year for my birthday or Christmas just so I could get a few new games. I also remember saving money for The Legend of Zelda: Ocarina of Time and this was a big event to buy a game brand new, on release! Generally this meant that if I wanted a game any other time of the year I would have to save a bit of pocket money and make a trip to the local games shop to sift through used games. 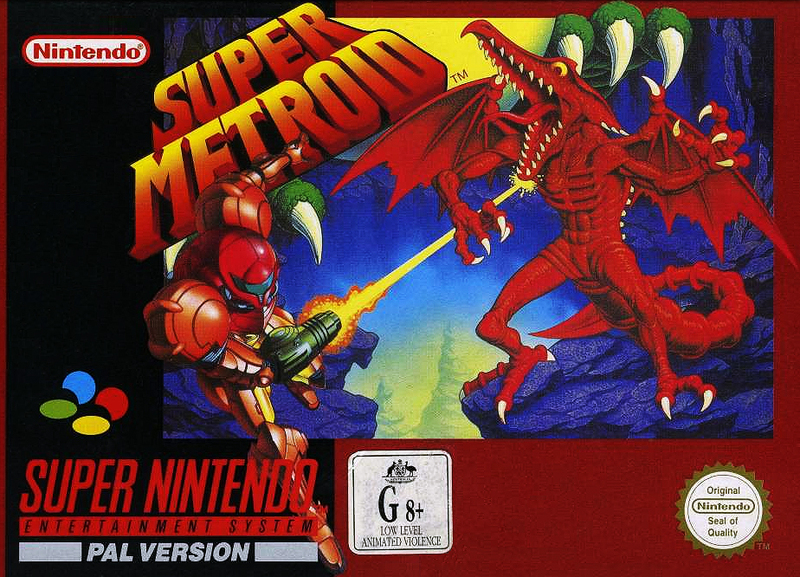 Super Metroid was one game I remember buying second hand, years later I am still a fan and have bought brand new copies of every Metroid game ever since. This is one such example and I now find many established franchises I grew up with still interest me today and I buy new versions of these games. Generally I will only buy a used game if it is no longer for sale brand new (retro games from old consoles) or if I have some sort of voucher e.g. 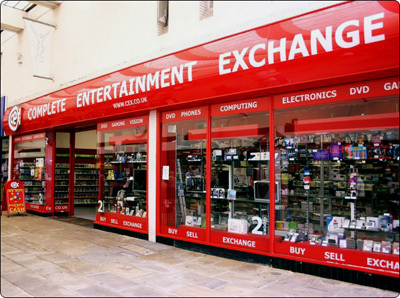 CEX credit. This probably stems back to being a child and having to buy used games, generally in pretty poor condition. When I was finally old enough to earn my own money I opted for brand new games that I could open and be the first person to play (especially being a bit of a games collector and wanting to keep my collection in great condition). I no longer had to put up with kids who had smeared their jam and chocolate covered fingers over the cartridges. As people get more invested in games they generally want to experience a back catalogue of a franchise they love or see how genres have evolved over the years. Others want mint condition copies of 20 year old games or to relive games they played as they were growing up. Previously I’ve never really considered retro games as part of the “used games” debate, owing to the fact that they are out of print and could not be bought new. This all changed with the release of consoles like the Wii and PS3, where back catalogues are now offered for many old franchises, effectively giving a developer a way to once again make money from old games. I can’t offer any real conclusion of sorts because I never expected to make a decision as to whether used games are a good thing or a bad thing. I think larger franchises which sell several million copies of a game won’t notice much of a mark on their profits from the sale of used games. If anything, my previous point about bringing in new fans to the franchise applies. With smaller developers and niche games that only sell several hundred thousand copies used games have a much larger impact on the developer. After all development costs are rising, teams are getting bigger and risky or poor selling games have a very large effect on the future of many developers. Maybe I’m biased because I work in the industry and see companies closing quite often. Maybe you think developers should be greedy and want to block all used games sales just so they make a bit of extra cash. Either way it’s an interesting time for the games industry. At about the age of 17 I met a girl who told me her boyfriend was a games tester; to me this seemed like the holy grail of jobs. I imagined sitting around all day with a bunch of mates and playing a couple of games, after all that is what we generally did for fun after school. However, as I made my way through College and University the idea of being a games tester slipped to the back of my mind along with all the other “that will never happen” job scenarios many teenagers have like becoming a rock star. Fast forward almost 10 years and I had just graduated from University with a degree in Multimedia Technology and Music Production; I planned to pursue a career in Audio but didn’t know where to start. Still a big gamer I decided to look at audio jobs within the games industry and so I attended a few open days and generally began seeking out more information about my chosen career path. During one open day the QA manager of the company I was visiting explained a little bit about the job and recommended QA as a foot in the door to a development role. My first job in the games industry was indeed as a games tester or QA (Quality Assurance). I held this position for about 1 ½ years before moving into the development side of the industry as an Audio Designer. To many gamers, QA is a mythical job role where geeks gather to play games all day and hone their skills. On the flip side, many people not into gaming turn their nose up when you explain to them that you test computer games for a living. With this article I aim to explain what QA do on a daily basis, debunk some common myths and give an insight into what it is really like to be a games tester. So, where do you start? Generally you need to scour various games publishers and developers websites; here they advertise new job roles. Remember QA jobs are generally temporary and companies normally only advertise a few months prior to a game hitting the shelves. Generally no prior experience or qualifications are required, but they certainly help. When I first applied for a job in QA I sent CVs to several companies and was successful in getting an interview. I can’t say what the process is like at all games companies but for this job I was required to complete a short application form and after a couple of weeks I had an interview lined up. A few weeks later I received a phone call and was informed that my interview had been successful. Now a predicament many new starters have to resolve is where they will live, do you commute or move house? As QA jobs are generally offered on a temporary basis your contract may not be renewed in 6 months time, whereas your tenancy might last 12 months. I absolutely didn’t hesitate over this decision and immediately found a place to rent 15 minutes away from where I would be working. When starting out on a career path you have to take risks and think positive; the company are working on other games, if I prove I can work hard they might renew my contract. During my time in QA I did indeed experience the dreaded QA layoff period, luckily I survived (in part because I was transitioning into a different department). What is it actually like to work in QA? Well the “dream job” status I once applied to games testers as a 17 year old had long since vanished before I’d even applied for the role; I was now applying as a necessity to get into the games industry. I’d hope anybody who is old enough to seriously consider becoming a tester understands that this is a real job, involving serious work, carful observation and long hours. The day I started in QA I joined the 14 or so other new starters; we were taken to our seats in an open plan room containing around 40 other testers (one of two main QA rooms). My first task was to open up an old build of a previously released game and identify several bugs (which had purposely been left in that build), after a day or so on this task the real work started. The common myth seems to be that working in QA involves sitting around all day playing games and while this is in part true the bulk of the job involves a lot of paper work and organisation. Tasks are split up into looking for new issues, confirming issues and testing old issues, this is very repetitive work and this is where the realisation kicks in that this is indeed a job, not a hobby. In a typical day you could be given a list of new settings to play with, you may have to use a 19” CRT TV and play with the saturation low and the language set to German. All eventualities need to be covered and so just because the majority of gamers might now play on 42” LED HD TV’s there will be a small percentage of players who only have access to a CRT TV. Audio is also tested, be it on headphones, TV speakers, stereo speakers or a surround sound system. Audio options need to be adjusted such as playing with the speech fader set to 0% if applicable, any speech heard will then have to be entered into a database as a bug. The player may find walls with no collision properties. This could cause the player to fall out of the world or access areas of the game early, causing further bugs and progression issues. If the game is structured into levels with upgrades only taking place at specific times the player may reach a level in which they cannot kill a certain boss and cannot return to the upgrade area. This will then halt progression indefinitely. Game logic may not be able to deal with a player completing laps backwards. Warning speech or visual notifications to inform the player that they are going the wrong way may not trigger. Once a bug has been completed it is then assigned to the relevant department to be resolved. After the issue has been fixed it is then returned to QA as a fixed issue, the testing doesn’t stop here however. All fixed bugs are once again tested (using the method of reproduction) to confirm if the issue is fixed. If there are still problems the bug will fail, a new comment will be added by the tester who failed the bug and it will once again return to the developers. In some situations a bug may be returned without being fixed, this may be a “no fix” or “cannot reproduce”. A no fix can arise if a tester has incorrectly flagged something which may actually be a feature or a tech related issue which simply cannot be fixed (an example of this can be seen in large open world games such as Skyrim or Read Dead Redemption where textures may pop in and take a while to load but cannot be made to load in any quicker). “Cannot reproduce” issues can generally arise if the tester has not given enough information to reproduce the bug (e.g. the bug may only occur when using a very specific weapon which the tester didn’t mention). Alternatively QA can generally be several builds behind the development team and bugs may have already been fixed in a newer version of the game which the tester has yet to receive, nullifying the bug. As well as seeking out new bugs other tasks may include reproducing existing bugs on all platforms. Let’s say a tester finds an issue on PS3 and enters a bug, this bug could be exclusive to this platform or may happen on all platforms. To verify this, a second tester may go through all bugs which have been found on PS3 but have not yet been checked on Xbox 360. The tester will follow the method of reproduction for each bug and confirm if it also happens on the 360. Towards the end of a development cycle other tasks will be carried out such as completing the game from start to finish and perhaps meeting certain criteria along the way. Take inFAMOUS as an example; a player has the option to choose good and evil options throughout the game, resulting in two different experiences. This task is perhaps one of the more tedious jobs a tester has to complete; arriving at work in the morning and doing a full play through until your shift finishes may seem fine on the surface. Now remember, the tester may have been on the same game for the last 5 months, 3 of which might have included a lot of overtime. They probably know the game inside out and may not even enjoy playing it. Taking on the role of a QA tester is full of pros and cons and when people ask me about my time spent in QA I always tell them the same thing. The job can be very tedious at times but I’d much rather be in an industry I love, getting paid to test games than standing in Sainsbury’s stacking shelves of meat for 8 hours at a time (as I did while at University). The job is also relatively low paying, I won’t mention how much I earned but a recent MCV survey lists the current average wage for QA. This is coupled with the risk you take of entering into a temporary contract in an industry which is plagued with studio closures and redundancies. Development cycles also experience “crunch” periods, typically this can last for several months and everybody from development to QA are required to work overtime to get the game finished for the street date. Often you hear stories about QA and Devs sleeping under their desks just to get a game finished. I can’t say it’s ever been that bad for me but there have been times when I’ve left the office in the early hours of the morning. QA is one of the best ways to get into the games industry and to begin understanding development cycles. Working with development builds, test kits and seeing a game progress from an almost unplayable state to a polished master all contributes to your understanding of the development process. Identifying and logging bugs also provides a great background for development as you start to learn the basics as to why bug are occurring and how they are being resolved (developers may add comments or small details about the fix to the bug report). This process is especially useful when identifying bugs related to the department you are interested in; in my case I wanted to progress onto the audio development team. I would look for any audio related bugs, which would help me understand what should and shouldn’t be included in a game. My bugs would then be fixed and sent back for me to check, generally there would also be a comment added such as “re-exported the asset at the correct sample rate” or “asset was 500kb too big, causing a crash”. Another great benefit of being part of a QA team is the ability to interact with developers on a daily basis, not just within a working environment but socially as well. On your commute to work, around the office and in the canteen you can get to know the people you work with. Some QA are lucky enough to receive feedback on their portfolio or apply for vacancies advertised internally (many developers start off in QA). As well as the development team you are also surrounded by like-minded graduates, rarely did I talk to people in QA who did not have some sort of degree in programming, games design, art and other disciplines. This can provide a good opportunity to work alongside friends on your portfolio, learn new skills or make links with possible future developers. Brad: Thank you for being part of the first “Leave luck to being rescued” interview. I first met you back while I was still studying at University when I attended a guest lecture you were giving at York University. We then became friends almost 5 years back when you were still working at Codemasters so I already have a pretty good idea about the games you are going to select. Before we get onto your choices can you give a brief overview of your career so far? Aristotel: As a teenager I was a DJ (back when one didn’t rely on BPM counters) and upon finishing high-school went on to study Audio Engineering. During my degree I got interested in spatial audio but soon realised there wasn’t any software to do the things I wanted to do. I wrongly assumed I could just “learn” to code and develop the software myself and make that my final project. I soon came to my senses and changed the focus of my final project to something non-software related. However I didn’t give up on the software, as I went on to study towards a Masters degree in Software Engineering. This time I did pull off an audio related project, but my studies didn’t stop there. Having decided not to pursue a PhD in spatial audio (finally) I instead did another Masters degree in Music Technology, bringing together my audio and software engineering skills. As part of my first job (Clearec), I worked on the audio software that was bundled with the Nero CD/DVD burning software, including a wave editor by the awesome name of ‘WaveEditor’ and a DJ program by the name of ‘ScratchBox’. Given my background with Djing, that was a pretty cool project. I later joined a firm (Sonaptic) that developed audio tech for third party consumer electronics. The tech included psychoacoustic bass enhancement for flat screen televisions and portable speakers, noise cancelling headphones, and various DSP effects. The firm also developed the 3D audio engine for Sony that is now in every PSP (PlayStation Portable). However the most exciting tech developed was surround sound for mobile phones, without the use of headphones. Think of it as the audio equivalent to stereoscopic displays (without glasses – like the Nintendo 3DS), only several years earlier. It was integrated in many Japanese handsets, but never took off in the West. Next stop was a large video game developer (Codemasters) in England where I joined the Central Tech Audio group as an Experience Audio Programmer. I worked on the audio systems that several game teams used to develop their games. Alongside the development of the tech, there was plenty of supporting game teams and sound designer. After a while I landed the role of Senior Audio Programmer as well as getting to lead the audio tech group. Over the next few years we developed some great in house tech, both tools and runtime. The group grew some more, to cover other non-audio runtime disciplines such as networking, animation, and core systems like IO, memory, and controller input. Recently I moved to another game developer (FreeStyleGames) as the Lead Audio Programmer. While I cannot say what I am working on, the company has a history of making music games such as DJ Hero, DJ Hero 2, SingParty, and DLC for GuitarHero. The emphasis on audio in the firm is clearly great which makes it an exciting challenge. With the DJ Hero franchise there is yet another link to my DJing past. Brad: Ok, so FreeStyles Games have decided to send you on a bit of a trip and you find yourself on a plane to attend this year’s E3. Unfortunately you end up in a horrific accident but manage to use your games background to think fast. In true Just Cause style you fashion a parachute out of materials on the plane, luckily enough the cargo hold also has a seemingly endless supply of games both old and new (how convenient)! As you are in a hurry you only get chance to grab 5 of them, one of which can be a collector’s edition (explain why you chose this) along with one complete game soundtrack (this can be from something other than the 5 games you select). Now after that very believable scenario suspend your belief for a moment and imagine that you manage to land on an island and stumble across consoles, TVs and a power supply. What 5 games did you grab and why? Aristotel: Can I choose digital games, such as PSN games? Aristotel: How do I play them? There won’t be any power supply. Brad: For the purposes of this exercise let’s pretend power isn’t an issue! Aristotel: Will there be a sub there? Brad: Er… will that make a difference to what games you select? Aristotel: No but I want to know if I will have surround sound and a decent TV. Brad: Ok, you can have a 7.1 system if you want. Aristotel: Ok, I’ll have a think about it. Good campaign and online, especially with the PS Move! Kill the ISA dogs! I suppose I would take the Helghast Edition of Killzone 3 so that I can have the almost life size head to stare at during make-believe conversations… like Tom Hanks did in cast away with the volleyball. Brad: Finally a few months later a ship turns up to rescue you, unfortunately it capsizes and a wave rushes to shore. In the hurry to rescue your games you only manage to grab one of them. Which game did you save? Brad: Wicked, that is awesome. Did you like your plane accident scenario? Brad: No, I reckon broadband is out of the question, otherwise you might be able to call for rescue. Aristotel: If broadband is out of the question then I have to remove Killzone 3, Battlefield 3, and GTA 4! Brad: Ok, well you get broadband but no headset and you are banned from using the video / voice or message features on the PlayStation XMB. I will not let you communicate with the outside world!